Coming off a decent 2017 season, a young Royals team is looking qualify for the playoffs. Kansas City has failed to make the playoffs the past two years in a row; a sharp decline in performance since their 2015 World Series Championship title. In a highly contested division, that features the likes of the Detroit Tigers and the Minnesota Twins, the Royals are looking to bring back another World Series trophy to Kansas City this 2018 season. Grab your 2018 Kansas City Royals tickets and head down to Kauffman Stadium to be a part of the pennant race. Having not made it to the playoffs since 1986, the Kansas City Royals surprised everyone when they not just qualified for the playoffs in 2014, but also went on to compete against the San Francisco Giants for the World Series title. Unfortunately, they were defeated by The G-Men, but the defeat did not stop them as the Royals made it to the playoffs for the second time, in a row, in 2015. This time, they won the top prize by defeating the New York Mets, 4-1. However in 2017, The Blue Crew failed to appear in the playoffs for the second time since 2015. How will they perform in the 2018 season? To find out, get your KC Royals tickets here. Since 1969, the Kansas City Royals have delivered many memorable moments to generations of fans in America’s heartland and beyond. Let’s take a look at some of them. Their First World Series Title Win – The Kansas City Royals struggled in their early years. The team qualified for the playoffs on multiple occasions but was eliminated each time. However, this was not the case in 1985. The Royals made it past the regular season that year and defeated the Toronto Blue Jays before they collided with their rival, the St. Louis Cardinals for the World Series title. Both teams were determined to win the top prize, but in the end, thanks to their last three consecutive wins in Game 5, 6 and 7, the Royals clinched their first World Series title on October 27, 1985 at the Royals Stadium. Finding Their Lost Form – After winning the World Series Championship against the Cardinals in 1985, the team failed to appear in the playoffs from 1986 to 2013. In 2014, they returned with a bang and locked horns with the San Francisco Giants for the top prize – but were defeated. This did not crush the spirit of The Blue Crew and they bounced back in 2015. They won the World Series title for the second time by defeating the New York Mets, 4-1 on November 1, 2015, at the Citi Field. The Kansas City Royals biggest rivals are the St. Louis Cardinals and the Detroit Tigers. Royals-Cardinals Rivalry – This rivalry between the Kansas City Royals and the St. Louis Cardinals is often referred to as the ‘Show-Me Series.’ The rivalry began due to the close proximity as both St. Louis and Kansas City are situated in the state of Missouri and on Interstate 70. Moreover, due to their geographical proximity, these two sides face off every regular season in interleague play. The Royals and the Cardinals have also faced each other for the World Series title in 1985, which was won by the former, 4-3. Royals-Tigers Rivalry – The rivalry between the Kansas City Royals and the Detroit Tigers is in the making. Both teams are members of the American League, Central Division. The seeds of their rivalry were planted when the Royals ended the Tigers’ four year Division title winning streak in 2015. These two sides last collided on September 7, 2017, at the Comerica Park where the Royals defeated the Tigers, 13-2. Since 1969, the team has gone on to win two World Series Championships and seven Division titles. Owned by David Glass, The Blue Crew is being coached by Ned Yost as of 2017. The team plays its home games at the Kauffman Stadium in Kansas City, Missouri. KC Royals tickets get you right in the middle of all the action at Kauffman Stadium. The Royals home ballpark, located right in the heart of Kansas City, can seat 38,000, making it one of the more intimate ballparks in the league. This smaller size doesn’t detract from its true beauty, especially with the world famous outfield fountains. Among the amenities are the Outfield Experience for fans of all ages and the Royals Hall of Fame. The list of the ‘Greatest Players in the History of the Kansas City Royals’ is incomplete without George Brett. He joined The Blue Crew in 1973 and played with the team till his retirement in 1993. During his time, he was picked to play in the All-Star game thirteen times. Moreover, he was honored with three Silver Slugger Awards and one Gold Glove Award. In 1994, Brett was inducted into the Kansas City Royals Hall of Fame. Bret Saberhagen is another star player who remained with The Blue Crew from 1984 to 1991. While with the Royals, he was chosen to play in two All-Star games. In addition, he won the Al Cy Young Award twice in 1985 and 1989. Saberhagen is also the winner of one Gold Glove Award. There is also a list of other players who contributed to the team’s success. Honorable mentions include, Dennis Leonard, Cookie Rojas, Frank White, John Mayberry and Willie Wilson. All of these stars have been inducted into the Kansas City Royals Hall of Fame. After capturing their second World Series crown in 2015, the Kansas City Royals were unable to make it to the playoffs the following year in 2016. The team is now ready to make its mark in the 2017 season. Will they clinch their third World Series title this year? To find out, you have to get your Kansas City Royal tickets today. Our process for purchasing cheap Kansas City Royals tickets is simple and fast. There are so many online ticketing sites, that it can be hard for customers to find the right place to buy Kansas City Royals tickets at the cheapest price. At ScoreBig we think of our customers first and foremost. We offer daily deals for Kansas City Royals events, so our customers can get the best seats for the best prices. ScoreBig will always go above and beyond to offer the cheapest Kansas City Royals tickets on the market. The Kansas City Royals schedule above, displays all available events for 2019 and 2020. Once you find the event that you would like to go to, click the red “Get Tickets” button. It is located on the right-hand side of the event listing, it will take you to an Kansas City Royals event ticket page. ScoreBig's event ticket page will display all available Kansas City Royals tickets for that event. On the event ticket page to help with your search for the right Kansas City Royals tickets, use the filters at the top to select quantity, price range, and more. There is also an interactive seating chart so you can pick where you want to sit. When you are ready to buy a ticket, click on the listing, and you will be directed to ScoreBig's checkout page. Upon completion of the information fields, your order will be processed and your Kansas City Royals tickets will be delivered via email, mail, or to your mobile device. What makes ScoreBig’s site stand out from the rest? We are constantly analyzing our competitors to improve our site, service, and prices. ScoreBig.com employees strive to offer the best process and experience to buy cheap Kansas City Royals tickets. Our goal is to get you the best seats to Kansas City Royals events. We offer daily discounts on our site and for special promotions check out our newsletter. If there are no Kansas City Royals events currently available, you can use our search feature at the top of the page to see a list of all popular events going on near you. No matter your price point, we have all the best deals and discounts on Kansas City Royals tickets. For more information on prices of Kansas City Royals tickets and the schedule for Kansas City Royals, check out our listings above. The last thing you want to find out is when the Kansas City Royals event you wanted to go to is sold-out. Don’t worry in many cases ScoreBig has affordable tickets to sold out events. We sell tickets from GA all the way to premium seating and parking. Skip the scalpers in the parking lot and get your tickets online from top Kansas City Royals ticket brokers. We get you in all events, buy your Kansas City Royals tickets here from a brand that many trust and rely on for all their ticketing needs. ScoreBig offers a 100% money-back guarantee. If you have been in search of cheap tickets for Kansas City Royals, ScoreBig by far is the best option. That’s why ScoreBig has more loyal customers than any other ticketing site. 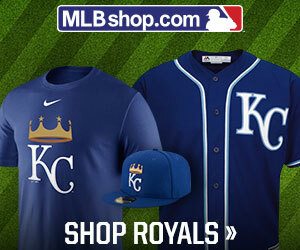 Shop at ScoreBig for safe and secure Kansas City Royals event tickets.